Believe it or not you have a lot of PM tools at your disposal and you needn’t be an IT whizz to make the most of them. Start with your key milestones and break each one down into tasks, sub-tasks and activities. By breaking down each task into small portions you are making a large project easier to manage. This is called a Work Breakdown Structure (WBS). You can use post-it notes to jot down each task and sub tasks. Now you can begin to order the tasks on a sequential timeline. Ordering the tasks visually against a timeline is a collaborative way of project planning with your team. It is also important to look out for any bottlenecks. This tool is known as a GANTT chart. You can use an Excel spreadsheets to chart activities against a timeline and share the chart on Google.docs with the rest of your project team. There are other sophisticated programmes and Apps available. With the list of tasks on a timeline you can easily assign or re-assign tasks to your project team depending on their availability. So a shared online resource makes it easier to view and manage. It’s a good idea to use different colours for each team on the Gantt, so it’s easy to see at a glance, who is responsible for which tasks. Each team member can mark a task as completed with a completion date. 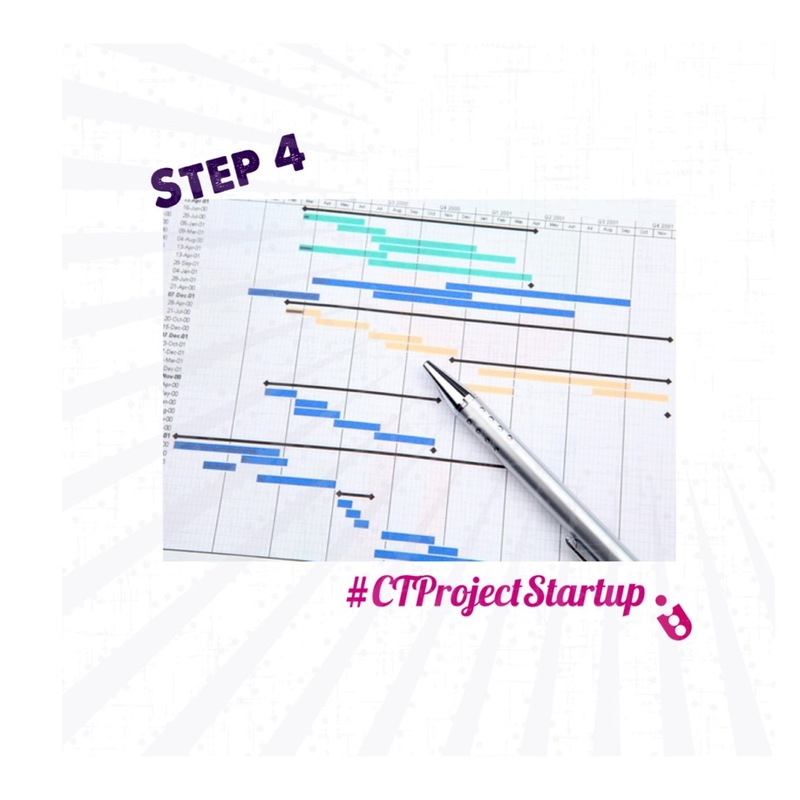 In simple terms you can incorporate milestones, GANTT chart, WBS and CPA into one spreadsheet and keep track of your project’s progress.